Happy Saints: Happy Saints Liturgical Calendar! The new Liturgical Year of the Church begins next week! 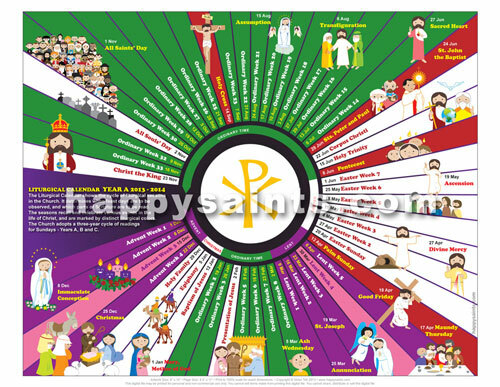 Have you gotten your Happy Saints Liturgical Calendar 2014 yet? ... all in a fun and colorful Happy Saints style! For only US$12.90, you get a high-quality PDF poster that you can print up to 50 copies for non-commercial use. Great for home, school or church!